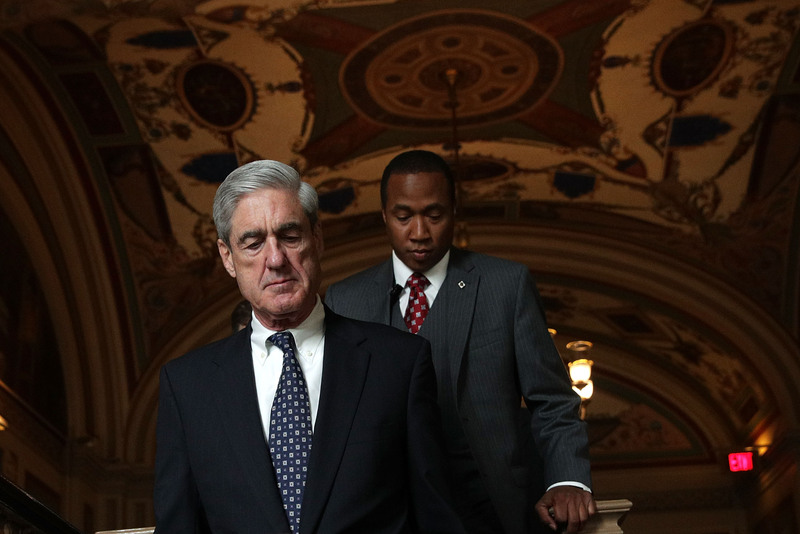 George Papadopoulos told Congress that the FBI offered to pay him to travel to London to conduct surveillance on Joseph Mifsud, a Maltese professor who allegedly claimed that Russia had dirt on Hillary Clinton. The former Trump aide said that he rejected the offer, which was made during a Jan. 31, 2017 meeting with an FBI agent in Chicago. Papadopoulos has served a 14 day prison sentence for lying to the FBI about the extent of his contacts with Mifsud. Former Trump campaign adviser George Papadopoulos told Congress in October that an FBI agent asked him to travel to London to spy on a mysterious Maltese professor who allegedly claimed that Russia had dirt on Hillary Clinton. “The FBI agent said, we need you to wear a wire and we’ll pay you and you can go to London and you can kind of look behind the scenes of an FBI operation. It was very bizarre, very strange,” Papadopoulos told members of the House Judiciary and House Oversight Committees in an interview on Oct. 25. The request was allegedly made during a meeting in Chicago on Jan. 31, 2017, four days after Papadopoulos was first interviewed by the FBI about his tenure on the Trump campaign. In that first interview, Papadopoulos told FBI agents about encounters he had with the professor, Joseph Mifsud, during his time on the Trump campaign. Papadopoulos told FBI agents in his initial interview that Mifsud told him during a meeting in London on April 26, 2016 that Russia had “thousands” of former presidential candidate Clinton’s emails. Though Papadopoulos shared that detail with the agents, he later admitted making false statements about the extent and full timeline of his contacts with Mifsud. Papadopoulos suggested in his congressional interview that the request from the FBI came after he said that Mifsud had recently attempted to contact him through Facebook. “We want you to wear a wire to go after Joseph Mifsud or to get some sort of information about him,” Papadopoulos said he was asked by the FBI, according to portions of his testimony published Wednesday by The Epoch Times. “I rejected it,” he told lawmakers of the request. Papadopoulos expressed skepticism in his congressional interview about the FBI’s request for him to wear a wire. He said that the request was “extremely problematic” because he now believes that Mifsud may have been working for Western intelligence agencies instead of Russia. Papadopoulos bases that assessment on claims made by Stephan Roh, a European attorney who represents Mifsud. Roh told The Daily Caller News Foundation that Mifsud has links to Western intelligence. Roh has also said that Mifsud did not tell Papadopoulos about Russians having Clinton’s emails. Mifsud has widely been seen as closer to Russia. That’s because he sought to arrange meetings through Papadopoulos between the Trump campaign and Russian government officials. The special counsel’s office has disclosed that the meetings never materialized. Mifsud’s affiliations remain one of the central mysteries of the collusion investigation. But answers have been hard to come by given that Mifsud has not been heard from since November 2017. Papadopoulos has denied colluding with Mifsud or Russians. He claims that he did not see, handle or disseminate any Clinton-related emails. He also says he does not recall telling anyone on the Trump campaign about Mifsud’s remarks. He does have some cause to view some of his interactions during 2016 with skepticism. Papadopoulos was contacted in September 2016 out of the clear blue by Stefan Halper, a former Cambridge professor, who has since been revealed to be an FBI and CIA informant. Halper paid Papadopoulos $3,000 to fly to London in mid-September 2016 and to write a policy paper about Mediterranean energy issues. Unknown to Papadopoulos at the time, Halper had also been in contact with Carter Page, another Trump campaign adviser.